1768 July 19. Born in Charleston, Peter Trezevant was the tenth child of Theodore Trezevant Jr. and the second child of Theodore’s third wife Catherine Crouch Trezevant. 1772 December 20. Elizabeth Willoughby Farquhar (1772-1845) was born in Charleston to Robert Farquhar (1743-1784) and Elizabeth Fagan Farquhar (1747-1773). The mother died a month after the birth of her daughter, who was then cared for by relatives in Charleston. 1782 January 24. At age ten Elizabeth W. Farquhar was placed under the care of Mr. S.H. Ball and sent to England. While there, she may have met her paternal grandparents (John and Elizabeth Farquhar) and her married Farquhar aunts (Charlotte, Ann, and Jean), each of whom eventually had two children (Elizabeth’s six first cousins). Uncle John Farquhar would have been in India. 1784 January 20. Robert Farquhar, Elizabeth’s father, died unexpectedly in a boating accident in Savannah, Georgia. At age twelve Elizabeth was still in England. The executor of Farquhar’s estate and guardian of Elizabeth was Alexander Chisholm (1738-1810). 1786 Peter Trezevant sailed to England. At age eighteen he arrived back in Charleston after a 54-day sail from Dublin on board the Fame, under Capt. 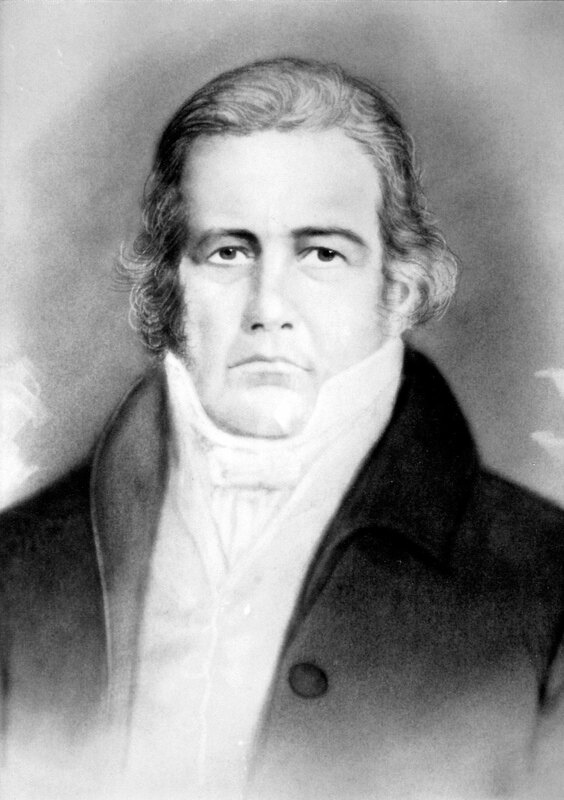 William George Cross (1755-1816), who had been an officer in the navy of South Carolina during the Revolution. Capt. Cross was then thirty-one years old and was married to Peter’s older half-sister Charlotte Trezevant (1755-1832). Thus, he was Peter’s brother-in-law. It could be that Cross at the request of family had arranged for Peter to meet Elizabeth Farquhar, age fourteen, while he was in England. Back in Charleston, Peter took up residence, possibly in or near Stoll’s Alley and began to work. 1789 September 13. At age sixteen, nine months after her return to America, Elizabeth Willoughby Farquhar married Peter Trezevant, age twenty-one, in Charleston. They probably took up residence at 5 Stoll’s Alley, a property that belonged to Robert Farquhar’s estate, which she inherited upon her marriage. November 25. After his marriage, Peter learned of the debt owed to the estate of Elizabeth’s father Robert Farquhar by the state of Georgia. On this date he made the first of many petitions to the state legislature for redress. Soon thereafter, Alexander Chisholm, as the Farquhar estate’s executor, filed suit in the United States Circuit Court for the District of Georgia, to no avail. Peter would remain actively involved in the case for the next fifty-eight years, until its final resolution in 1847. 1790-1815 The couple had thirteen children between 1790 and 1815: Robert John (1790-1791, John Farquhar Trezevant (1791-1821), Elizabeth Catherine (1793-1795), Daniel Heyward (1796-1873), Martha (1797- ), Anne Timothy (1799-1864), Peter Dunlap (1802-1845), Lewis George (1804-1824), Theodore Mathias (1806-1868), Henry (1808-1809), Octavius Undecimus (1810-1866), Matilda Emmaline (1812- ), and Catherine Elizabeth (1815-1847). 1790 December 20. Elizabeth Trezevant turned eighteen years of age. Peter was listed in the City Directory as being a merchant at 3 Kinloch Court. August 11. Chisholm, with both personal and financial support from Peter, took the Farquhar case to the United States Supreme Court as Chisholm v. Georgia. 1793 February 19. The Supreme Court ruled in favor of the Farquhar estate. 1794 Both houses of the United States Congress approved a resolution for a constitutional amendment that would overide the Supreme Court decision in Chisholm v. Georgia. 1795 The Eleventh Amendment to the Constitution was approved by three-fourths of the states. 1799-1801 March 10. At age thirty-one Peter was commissioned in the U.S. Navy. He served as purser under Capt. George Cross, the same officer with whom he had sailed to England in 1786. They were on the 30-gun frigate John Adams, which set out on a cruise to the West Indies. Cross had been appointed Captain of the John Adams on September 10, 1798. The ship had been constructed in Charleston and was first christened as the Charleston. It was used in the Quasi-War with France, patrolling the West Indies. The John Adams returned to Charleston in December 1800. Peter was then ordered to Washington and remained there until April 1801, at which time he was ordered to return to his ship. However, Peter’s father Theodore Trezevant Jr. died on May 14, and Peter was granted a furlough for six months. Before the expiration of the furlough. he was called on to join a 44-gun frigate, but he declined and tendered his resignation from the Navy in September 1801. At age thirty-three Peter was discharged form the U.S. Navy on November 18, 1801. Peter Trezevant was thiry-three when his father Theodore Trezevant Jr. died in Charleston. By that time Peter and Elizabeth had produced six children, two of whom had died. The living children were John Farquhar (age 10), Daniel Heyward (age 5), Martha (age 4), and Ann Timothy (age 1). 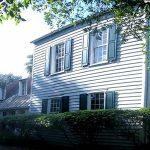 He supervised the finances of the South Carolina Society, a charitable organization which constructed its Society Hall at 72 Meeting Street from 1799 to 1804. 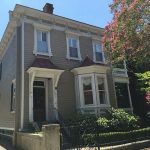 There is no record that the house sold, and the family continued to live there. 1805 The house at No. 2 Stoll’s Alley was advertised for rent by Peter Trezevant in the City Gazette & Daily Advertiser on February 13. [*] He was probably managing that property. He also made a two-story addition to 5 Stoll’s Alley. 1816 He worked as a drawback clerk at the Custom House, his residence still listed as 4 Stoll’s Alley. 1819 He worked as Registering Clerk of Customs, residing in Stoll’s Alley. 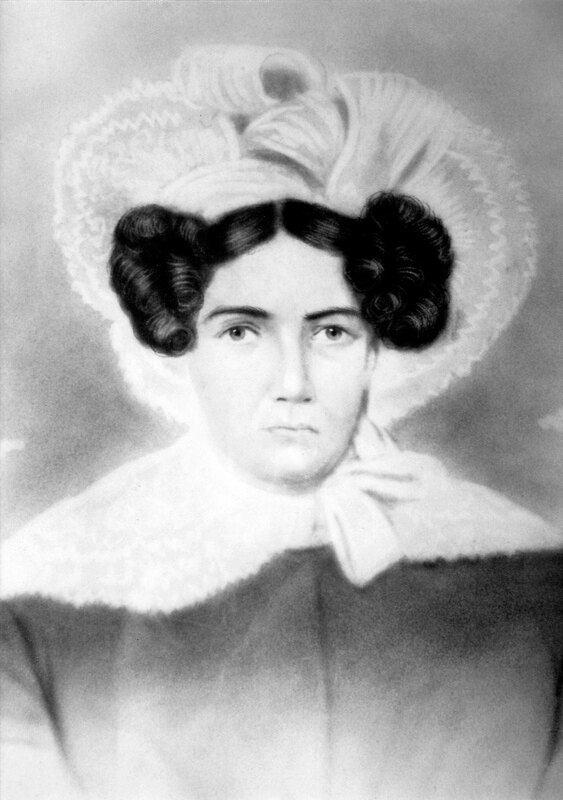 1820 When Peter Trezevant was fifty-two years old, his mother Catherine Crouch Trezevant died at age eighty-four. 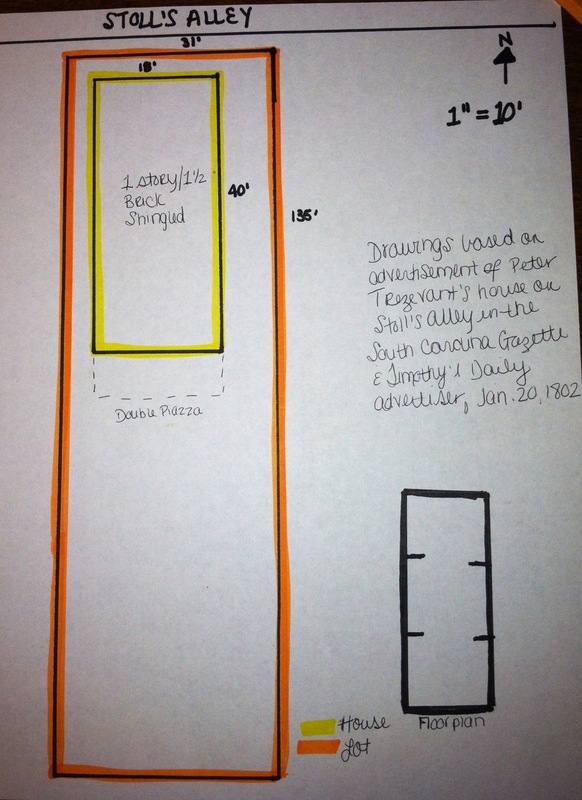 Her funeral was at her son Peter’s residence in Stoll’s Alley. 1822 He acted as a Notary Public and Quorum Ums, residing in Stoll’s Alley. 1825 He was still a Notary Public and Quorum Ums, residing at 5 Stoll’s Alley. 1826 July 6. Robert Faruqhar’s brother, John Farquhar (1751-1826) died in England. Elizabeth Farquhar Trezevant, the oldest of his seven nephews and nieces, inherited a portion of his very large estate. 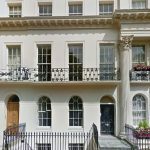 1826 As a result of that inheritance Peter and Elizabeth Trezevant (ages 58 and 54, respectively) moved to 31 Chester Terrace, Regent’s Park, London, England, where they maintained residence for the remainder of their lives. They needed to move to England to receive the inheritance and to participate in the ten-year litigation resulting from her challenging the estate of John Farquhar. Five of their thirteen children were dead (Robert John, John Farquhar, Elizabeth Catherine, Lewis George, and Henry). The widow of John Farquhar, Margaret Pepper Gignilliat and their five children were living in Charleston, S.C. The two who were already married were Daniel Heyward, and Ann Trezevant Taylor, both living in Columbia, S.C.
One child, Peter Dunlap (age 24 in 1826) went from Charleston or London to India where he later married. Martha (age 29 in 1826), who later married Mr. Richardson in London and remained in England. 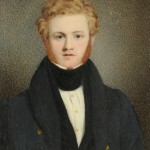 Timothy Mathias (age 20 in 1826), who later married Eleanor Waller in London, had two sons, and remained in England. 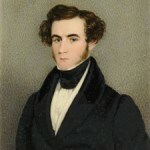 Octavius Undecimus (age 16 in 1826), was baptized at age twenty in London in 1830, and at age thirty-one married Maria Dorothea D’Argain y Belgrano (age 28) in an Anglican service in London. She was born in Argentina to Juan Baptista D’Argain and Maria Del Rosario Belgrano, possibly a sister of Manuel Belgrano and hence his niece. Thus, her maiden name was D’Argain y Belgrano. It is reported that she was an orphan and had wealth but we are lacking evidence for those claims. He was a medical doctor, and the couple had seven children, all born in Scotland between 1843 and 1855. By 1860 the entire family had moved to New Orleans, Louisiana, where they eventually died. Matilda Emmaline (age 14) later married Alexander Crowe in London, had eleven children, and remained in England. Catherine Elizabeth (age 11) never married and remained in England. Upon their arrival in England, Peter was became involved with extensive litigation involving his wife Elizabeth’s share in the large estate of her uncle John Farquhar. 1827 25 January. Peter wrote a letter from England to his nephew Lewis C. Trezevant. 1845 December 30. At age 73 Elizabeth Farquhar Trezevant died at 31 Chester Terrace, Regent’s Park, London, England. Her remains were deposited in the vault of John Farquhar in St. John’s Wood Chapel, Regents Park, in 1849. 1847 November 9. With action by the Georgia legislature Peter Trezevant at last achieved his goal of receiving payment for the debt owed the Farquhar estate by the state of Georgia. He had worked for fifty-eight years (1789-1847) for the resolution of the case. 1854 21 June. At age 85 Peter Trezevant died at 21 Brunswick Square Hotel, Brighton, Sussex, England. He was buried in one of the catacombs in Lewis Cemetery near Brighton. Disbursements from his estate to his heirs continued until 1886. 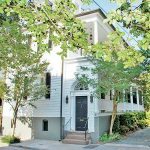 Dockstader, Mary R. A Notable Restoration: Stoll’s Alley, Charleston, South Carolina. N.d. TS. South Carolina Historical Society, Charleston, SC. Emmons, Karen. Historic Charleston Foundation. “Trezevant Research Notes,” August 15, 2011: pdf. Kenan, Robert Gignilliat. History of the Gignilliat Family of Switzerland and South Carolina. Easley, SC: Southern Historical Press, 1977: pp. 267-270. Lavelle, Brittany. “BVL Research 9/8/11 re Stoll’s Alley”: pdf. Lavelle, Brittany [*]. Historic Preservation Research. February 2014. “Peter Trezevant’s Estate as of 1854.” South Carolina Historical Society, Charleston, SC (photocopy). “Peter Trezevant’s Estate as of 1863.” South Carolina Historical Society, Charleston, SC (photocopy). Shotts, Cindy. Email correspondence with the author re Descendents of Peter Trezevant and Descendents of Octavius Undecimus Trezevant. 2014-present. Stockton, Robert P. 7 Stoll’s Alley: A Documentary History. Charleston, South Carolina, 2000. Stoll family members. Email correspondence with Bob Trezevant. 2016. Ancestry.com family tree. Genealogical documents. Trezevant, John Timothee. The Trezevant Family in the United States. Charleston, SC: The State Company, 1914: pp. 18-23. Wiedman, Jamie. “5 Stoll’s Alley: A Brief History and Description.” Unpublished graduate paper, Clemson University/ College of Charleston, Graduate Program in Historic Preservation, 2010: pp. 17-18. Peter Trezevant led an amazing life. This biographical sketch is a vastly simplified version. The timeline does not contain detailed information related to Peter Trezevant’s involvement in various litigations. These included his time in the U.S. Navy (1799-1801) and his wife’s inheritance in England (1826-1854). He was also heavily involved in the challenges by the Farquhar estate against the state of Georgia after 1789, the suit by Farquhar’s executor Alexander Chisholm against the state of Georgia as taken to the U.S. Supreme Court in 1792, and the final resolution of the Farquhar case with the state of Georgia from 1795 to 1847. 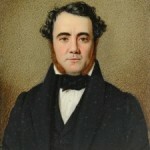 The story of Robert Farquhar is contained in his biographical sketch. 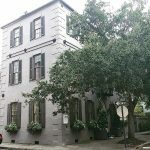 The story of the Peter Trezevant residence in Charleston is recounted in 5 Stoll’s Alley. The story of his involvement in the background and consequences of suits related to the Farquhar estate is summarized in Chisholm v. Georgia. R.W.T.